which opens in theaters on May 6th, 2011! As an Aussie science fiction writer I can remember Chris Hemsworth as a lad in a soapie TV show here. He's really "beefed up" for the Thor movie and I'm impressed. He's starting to look the part as Thor as is Anthony Hopkins as Odin. 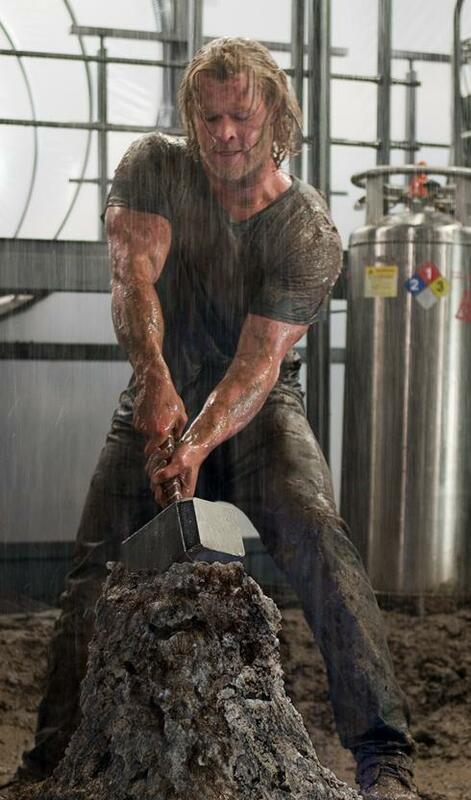 I can hardly wait to see the Thor movie. Yar, suprisingly he looks good in this photo. Hope we will have a good photo of him with the costume on (including the helmet) real soon.